The smartest place on earth, where students are able to learn all different kinds of trades and careers, Massachusetts Institute of Technology (MIT) has decided to expand their base of knowledge to poker. That is right, the card game that has become more popular by the day, and they are going to give a class on how to play, and it is completely free. The online course is taught by finance graduate student Kevin Desmond, which makes him perfect for this numbers game. This is part of MIT’s OpenCourseWare program, where they offer free courses to anyone with an internet connection. 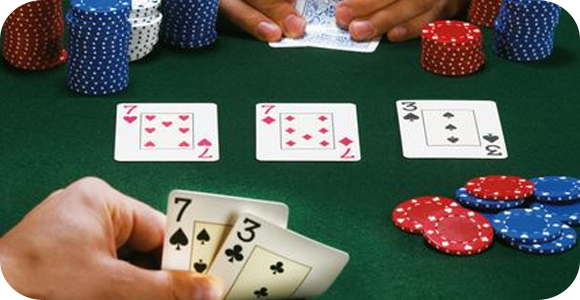 So, why poker? It is out of MIT’s Sloan business school, and the course description says poker theory and analysis can be applied to investment management and trading. Although, I do not know how bluffing could be useful when trading stocks, but the overall theory is a great tool. As such, there are many videos on terminology and strategy, which starts out quite basic, but the coursework does get more challenging as it progresses. The course does require that students practice their skills at online cardrooms, with fake cash, making free poker sites prime locations. Who knows, these MIT students could follow in their predecessors footsteps and actually make money at gambling.